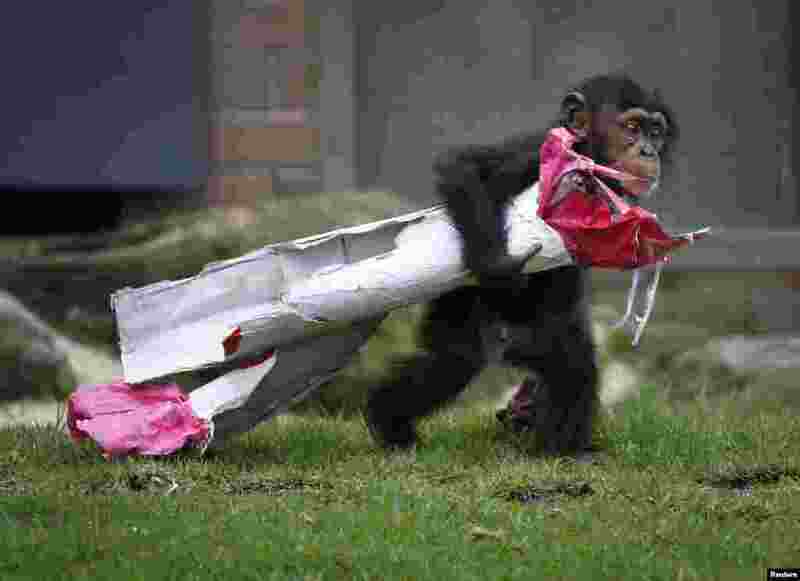 1 A 13-month-old chimp named Fumo carries a Christmas present of food treats in wrapping paper under his arm during a Christmas-themed feeding time at Sydney's Taronga Park Zoo, Australia. 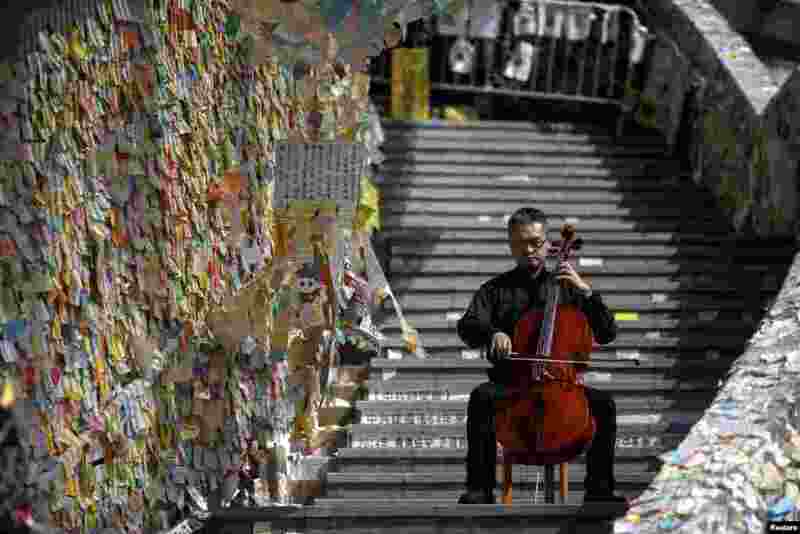 2 David Wong, a 41-year-old cellist, performs in front of a wall posted with messages of support for pro-democracy protesters at the Admiralty district, Hong Kong. 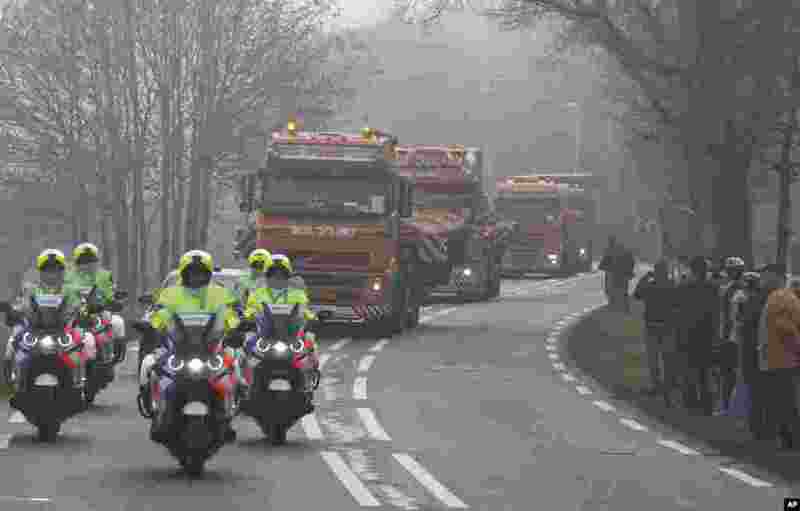 3 People line the road as trucks carrying parts of the wreckage of downed Malaysia Airlines flight MH17 arrive from Ukraine at Gilze-Rijen military base, Netherlands. The Boeing 777 plummeted from high altitude over eastern Ukraine on July 17, killing all 298 passengers and crew on board. 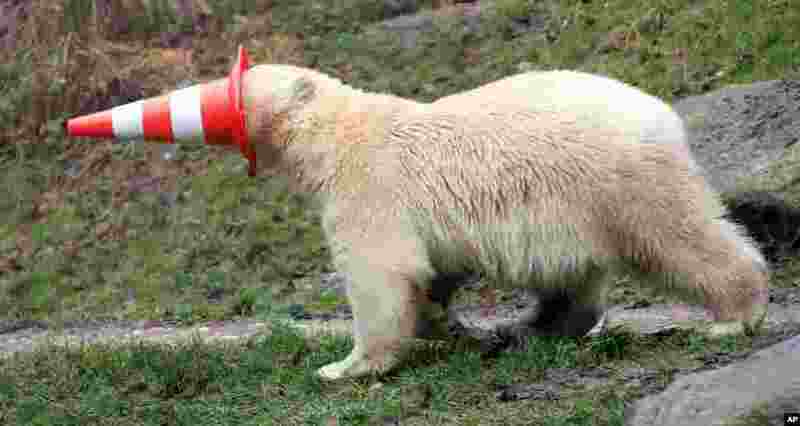 4 One of the polar bear twins plays with a pylon on their first birthday in their compound at the animal park Hellabrunn in Munich, southern Germany. The twins Nela and Nobby were born on Dec. 9, 2013.